During the WACK! Art and the Feminist Revolution exhibition at the Museum of Contemporary Art, Lacy revisited two prior works, Freeze Frame (1982) and Immigrants and Survivors (1983) to consider how feminism, race and class represent- ed in visual and performance art had changed over the past 25 years. The project explored “representation” of women and activism in four parts, inside and outside the museum: (1) conversations not witnessed, taking place in women’s homes and workplaces; (2) group conversations seen, but not heard, by visitors to the WACK! exhibition; (3) these same conversations heard, via recordings, in a subsequent installation; and (4) conversations over dinner outside the doors of the museum, representing public voice. Leaders of 15 diverse women’s groups from different workplaces and neighborhoods—from bike messengers to temporary secretaries—participated in a Leadership seminar produced by Dr. Janna Shadduck-Hernandez of UCLA’s Labor Center. Next they organized friends/colleagues in similar occupations and, over the course of two weeks, fifteen such groups convened behind closed glass doors in MOCA. Intense personal conversations covered a range of topics, including “What challenges your survival or ability to thrive?” and “How can making personal stories publicly known serve to empower those telling them?” These discussions could be witnessed but not overheard by museum visitors. 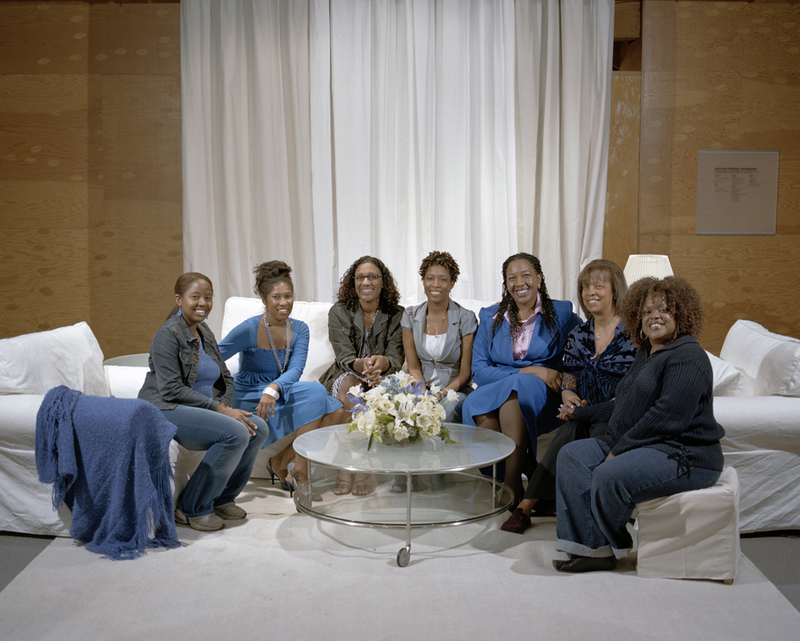 The conversations were recorded and installed in the museum library, along with group portraits. 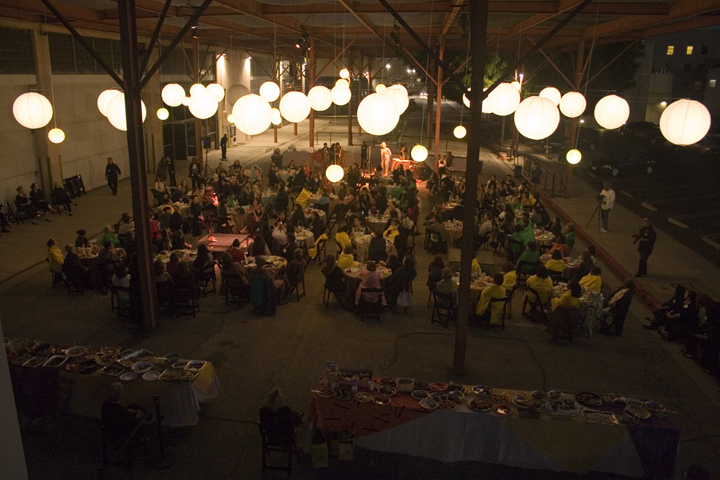 At the end of the exhibition, all participating women returned with friends and family for a dinner of 250 women outside the museum, where they celebrated their stories of work and survival. An artist’s project for the WACK! Art and the Feminist Revolution exhibition, produced by Suzanne Isken and Denise Gray and curated by Connie Butler for the Museum of Contemporary Art, Los Angeles, California.